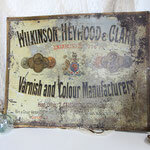 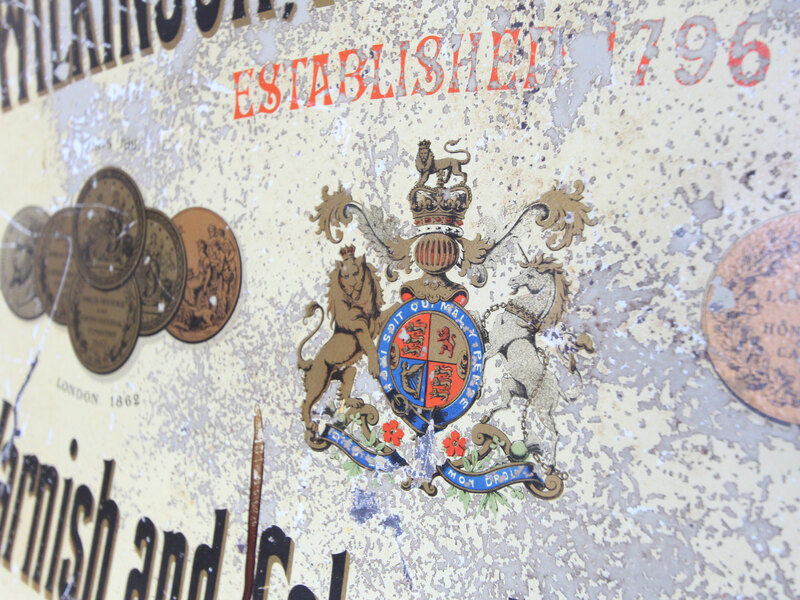 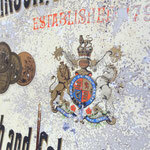 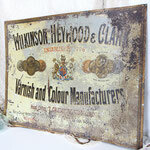 This wonderful old metal sign was made to advertise Wilkinson, Heywood & Clark - Varnish and Colour Manufacturers. 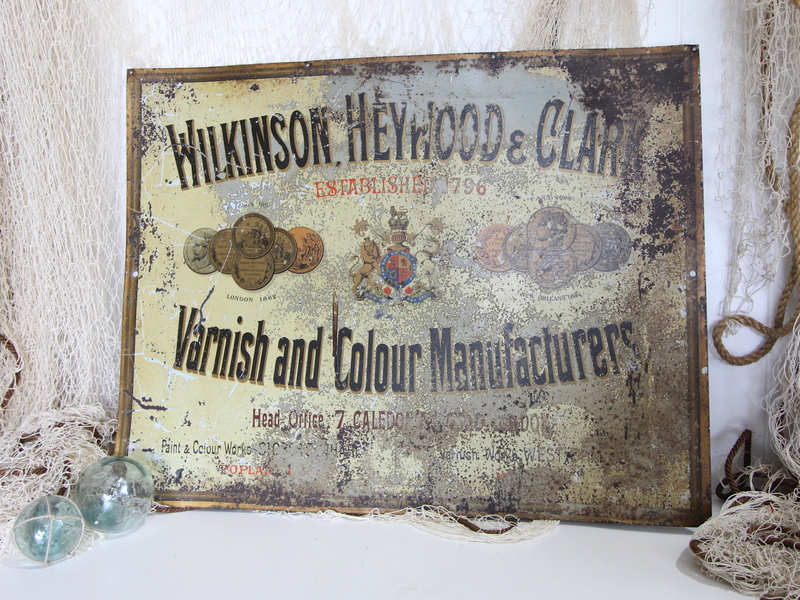 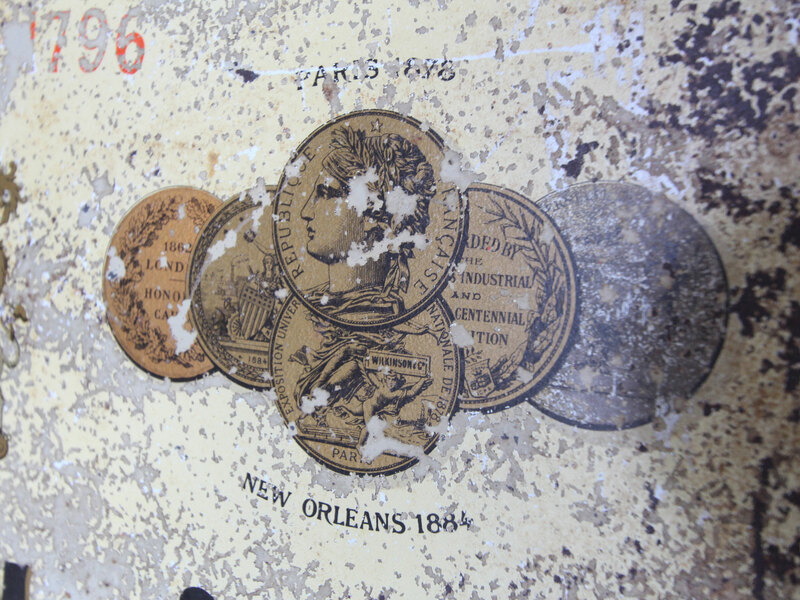 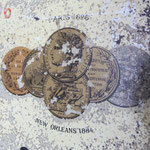 The sign proudly boasts of awards won in Paris, London and New Orleans. 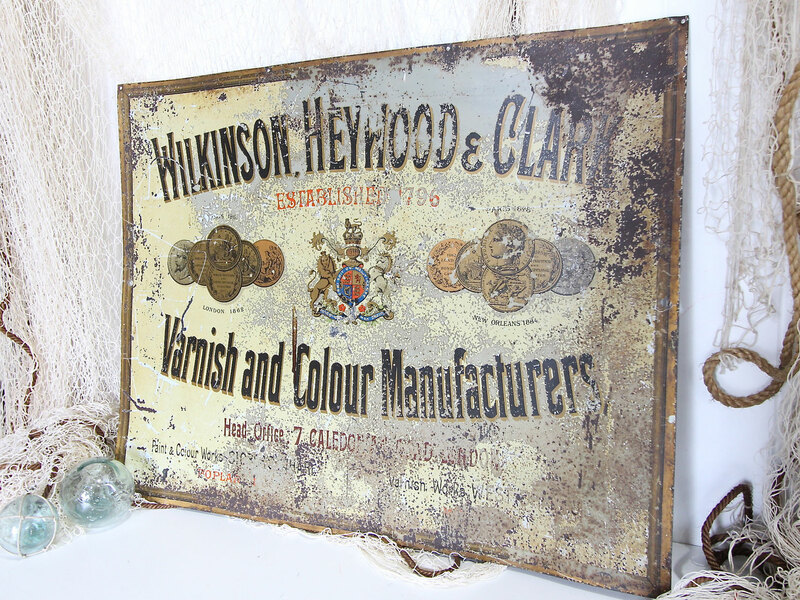 Wonderfully rustic it would suit a country, industrial or vintage decor.